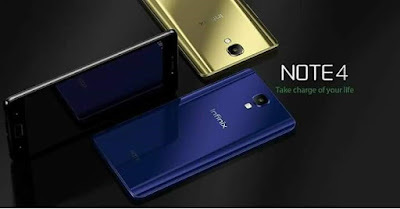 This Press release gives insight and details on review for the Infinix Note 4, with release date, specifications and Price in Nigeria, Kenya, Egypt and other countries, where the device will be available. We are also following up our previous post about this phone's launch and rumors. In Lagos, Nigeria - July 3rd, 2017, INFINIX, Nigeria’s leading and preferred smartphone brand unveiled the new look Infinix Note series with the launch of Infinix Note 4/Note 4 pro today. Infinix Note 4 is designed for the youths to empower and enable them to go beyond, it is also the 4th Generation of the Infinix Note Series, with the first of its kind Stylus pen ‘Xpen’. It also comes with the Infinix Note series innovation of super-fast charge. 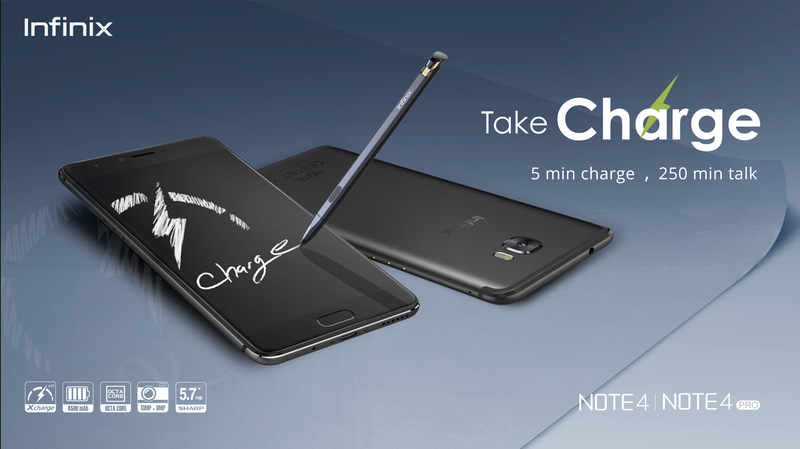 The Note 4 has the theme ‘5 minutes charge 250 minutes talk time’ and a battery life of 4500MAH, which charges five times faster and is equipped with Xcharge 4.0. Infinix Note 4 comes in 2 versions the ‘Note 4 & Note 4 Pro’, which are both budget friendly and runs on 7.0 Android. It also comes with other remarkable features such as 5.7FHD screen, 13MP AF back camera, 8MP-mega pixels front camera, Xpen, Octa-core 1.3GHz 64bits, 32GB ROM, with expandable storage space to 128gb and 3GB RAM, 4G enabled and XOS 2.3. With a promise to customers to retain its DNA of stylish Design, big screen, big battery and super fast charge. Infinix Mobility pioneered the powerful smartphone series with the successful launch of Infinix Note 3 in 2016. The launch, which received a massive reception, also led to the smartphone becoming Nigeria’s most searched Android smartphone on Google - the first time a mid-range smartphone has taken the search lead. The Infinix Note 4 and Note 4 Pro comes in 3 unique colors, champagne Gold, Ice Blue and Milan Black. To be a part of the new Infinix Note revolution, customers can pre-order the new Infinix Note 4 at all partner stores in Nigeria and get free Dual-Noise cancelling earphones or 3D speakers when they pre order before the 7th of July. The retail price for Infinix Note 4 is N53, 000 & N58,000 for the 32GB + 3GB. And the Note 4 Pro will retail for N66,000. The Note 4 will be available nationwide online and offline on the 7th of July 2017.